The key challenge for executive leadership is to efficiently aggregate customer data. 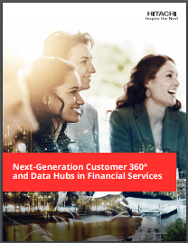 This is the core driver behind strategic initiatives like customer 360°, customer data hubs (CDH), enterprise data hubs (EDH), customer data integration and customer data management. • Provide a holistic, real-time view of customer profiles and preferences. • Work across all products, systems, devices and interaction channels. • Deliver a consistent, personalized, context-specific and relevant experience. By registering for this asset, you agree that the Advertiser or Sponsor and its partners may contact you about their products, services and offerings and other offers that may be of interest to you.